As many may already know or may have heard from a friend, MACBA is “the skate spot in Barcelona”. Just in front of the Museu d’Art Contemporani de Barcelona, aka MACBA, is the meeting point for skateboarders and the skateboard scene in Barcelona and maybe the world. Even Wikipedia names it as being among “the most well-known and respected places for modern skateboarding”. The skate-world/skateboard atmosphere at the MACBA is not matched anywhere, at least anywhere I have ever been. You can basically chill there the entire day, just talking to people, trying new tricks or whatever. MACBA’s fame as a skateboarder’s and skate-scene meeting point is matched only by its quality as an actual skate spot. MACBA as a Barcelona skate spot is world famous; actually a little too well known, but still really cool. Everyone talks about the smooth, flat – “crazy flat!” – ground and the sick smooth ledges that are perfect for grinding and manuals. There are also some really good drops and stairs that have been well documented in skate mags around the world. MACBA is also a really good spot for learning tricks. You can just hang out, watch other people, try your trick over and over until you get it perfect and at the same time feed off the stoke of the other skaters and the super international skate-friendly scene. It can be argued that MACBA as a skate spot is “blown out”. 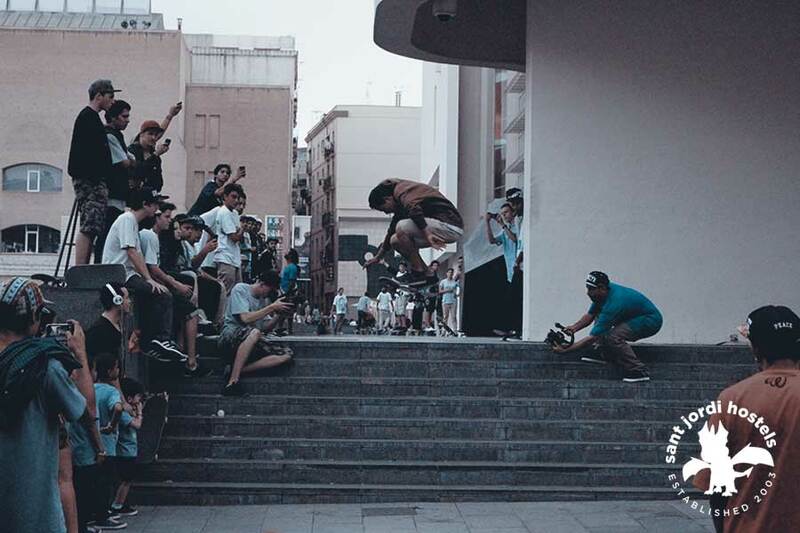 MACBA is definitely the spot where everyone hangs out, meets up or just sits around to watch. Some say there are just too many people. Ok, that argument has some validity but, in my opinion, that also adds a little to the appeal of MACBA. It’s nice to have a place that you can go where you can meet other people in a foreign country, make new friends, show off your skills and feed off the vibe. When you get fed up with the crowd you can always head off to another spot; maybe even a secret spot that you learned about from one of the new friends that you just met while skating MACBA. Tuesdays and Sundays after 2:30 are the official days for skateboarding MACBA. It really doesn’t matter though. Pretty much every day of the week there are people skateboarding MACBA. Just be sure to keep an eye out for the police. If they want to, they can hassle skateboarders and will on occasion give tickets or take boards. A basic rule of thumb is, if you see others doing it you will probably be ok also. If you see the cops hassling other people or they start to hassle you take a break for while. If you don’t push the issue you will probably get away with just a warning. That being said, I have never seen anyone get hassled by the cops at MACBA. Not for skateboarding at least. It should be easy to get to MACBA… But it’s not! MACBA is one of the most popular and important art museums of Barcelona. It is a major tourist destination and is marked clearly on any and all tourist maps of the city. 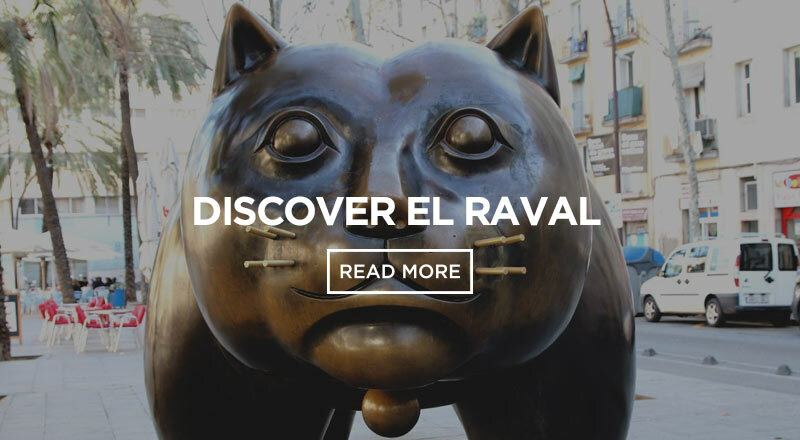 That being said, MACBA is in the El Raval neighborhood of the Barrio Gotico (old city center). Most of the area was built before the invention of the automobile and the streets are all small and go in strange directions. If it is your first time going to MACBA and you don’t want to explore the area, the best way is to get off the Metro at the Catalunya stop, walk down Las Ramblas, take your second right (C/ Bonsuccés that turns into C/ d’Elisabets) and then just walk straight until you see it. MACBA is also very close to the skate spot Universitat. It is just a little too complicated to explain how to get to one from the other. If you are coming to skate in Barcelona, our barcelona hostels are located near famous skateboard spots. We even have a skateboarding themed hostel in Barcelona. Because in Sant Jordi Hostels Barcelona, most of our receptionists are skateboarders…they live, breathe and eat skateboarding. 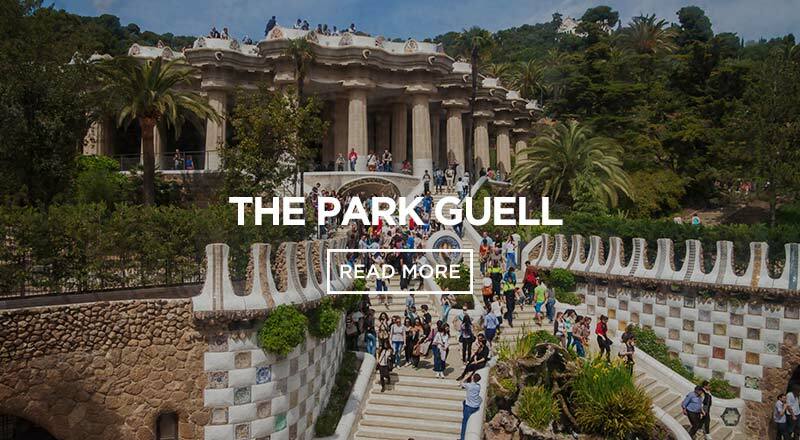 Also, check out our locals guide to skateboarding Barcelona and our list of the famous Barcelona skate spots. Our Sant Jordi Hostel Sagrada Familia is a skateboarder’s paradise. The place is sick! You will not only get a specially designed Barcelona city map with all the best skate spots of Barcelona clearly marked, you can also skate a pretty sick in-door mini-ramp. And, just so you don’t get bored – ever!!! 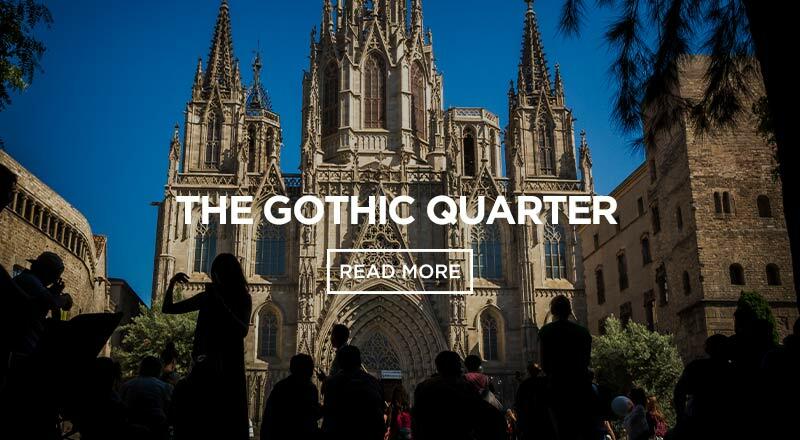 – most nights of the week there are organized Sant Jordi Barcelona bar crawls and parties. It is unreal! 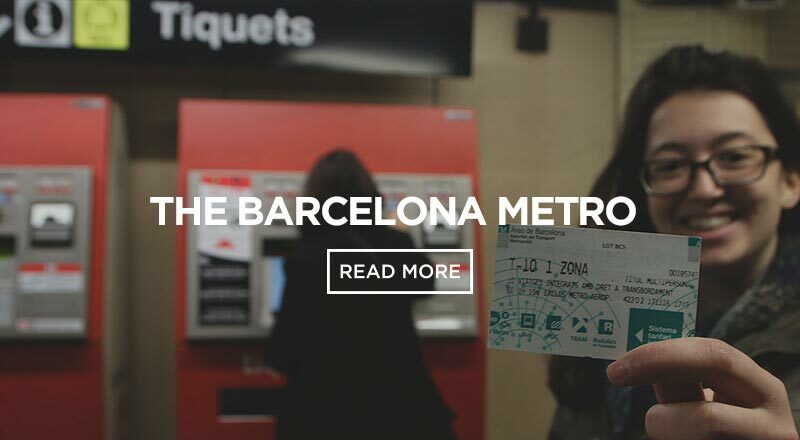 Just check out this video for an example of a real Sant Jordi Barcelona bar crawl. We don’t charge you anything for the party and there is usually a huge group. We take all the guests out together to some of the best bars and clubs of Barcelona. It’s a really good way to meet other people and have an amazing experience. 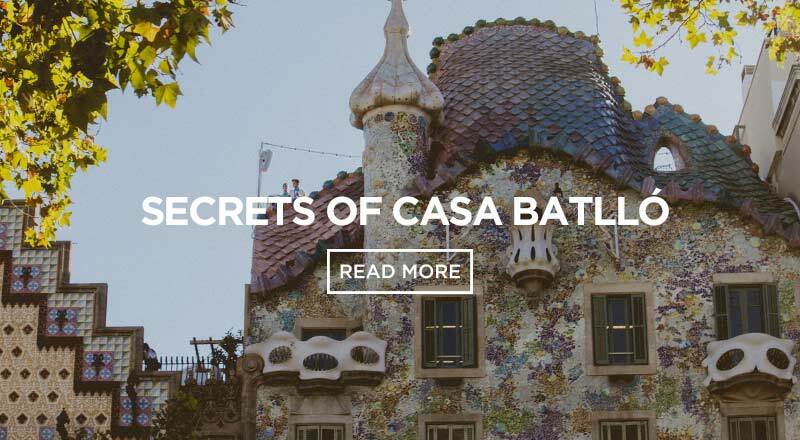 For a great Barcelona experience, come check out one of our hostels in Barcelona.